In 1992, AC Milan paid Marseille £10 million for the transfer of Jean-Pierre Papin. At the time, this was the biggest transfer ever paid for a player in any league throughout the world. In 2017, PSG (Paris Saint-Germain) will be splashing out an eye-popping £198 million (roughly $262 million) to Barcelona for Brazilian striker Neymar, who is widely considered to be one of the top three players in the world. The £198 million represents the total payout that Barcelona is demanding for the repayment of the buy-out clause, and they expect this amount to be deposited in full before they will agree to let Neymar leave for PSG. On top of that, PSG will ink Neymar to a new contract that is reportedly going to pay him £35.8 million per year (roughly $47.4 million USD). Paris Saint-Germain, which is one of the richest clubs in the world, is still stinging after a second place finish in French Ligue 1 last season. The club set out to dramatically improve their club via the signing of a top 5 player, and they have certainly accomplished this task if they manage to pry Neymar away from Barcelona. The dramatic increase in transfer fees is a testament to how much the finances of the top European clubs have improved over the past 15-20 years, mainly due to lucrative TV rights and sponsorship deals. In addition to TV rights from their respective leagues (French Ligue 1 for PSG, La Liga for Barcelona), teams also collect revenues from sponsorship deals (jerseys, stadium naming rights, etc), Champions League/Europa League TV money, ticket sales, merchandise sales, etc. 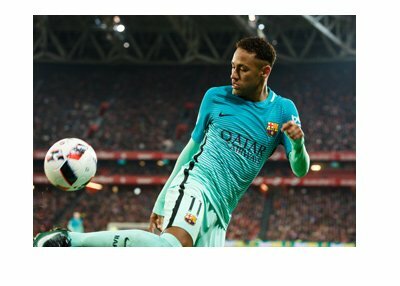 According to Forbes.com, PSG currently has a value of $841 million, though this is certain to increase with the signing of Neymar. PSG receives nearly $200 million per year from broadcasting revenues, which is roughly 1/3rd of their overall revenue pie. Barcelona, on the other hand, is worth $3.64 billion and is the second richest soccer club in the world. It is quite unusual for such a high profile player to be plucked away from a club such as Barcelona, though there are some different circumstances at play. To start, Neymar wants to be out from under the shadow of Lionel Messi, who is a mainstay at Barcelona. Barcelona's massive pocketbooks led to the creation of a "super team" (Messi, Neymar and Suarez) which ultimately led to Neymar wanting to leave. In addition, there is obviously a tremendous amount of money at play. PSG is desperate to sign a game changing player and is willing to throw more money at Neymar than Barcelona. Barcelona, which didn't win either La Liga or Champions League last season, may also be willing to change their formula a bit in order to try and improve. With the nearly 200 million pounds that they will receive for Neymar, Barcelona will be able to sign some great players to fill the void and potentially change things up. In the end, a player like Neymar has a tremendous amount of leverage. If he was forced to stay in Barcelona, the team would have likely had major issues dealing with an unhappy player.